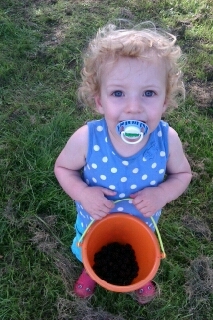 Grace cottoned on the fruit on the blackberry bushes at the weekend when we were out walking the dog at Temple Newsam. We had to pry her away after a few mouthfuls. 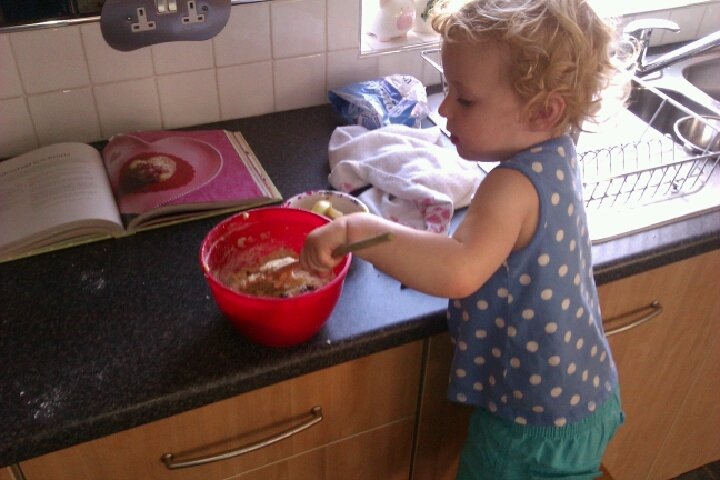 Not wanting to miss the season, Matt the Husband took her back out yesterday after work to pick fruit for baking. A real independent little girl, Grace carried and picked her own fruit for the bucket and came home to bake blackberry muffins for supper. Tasty!